Today, we are extremely pleased and excited to announce the release of Wasteland 2: Director's Cut for Windows Store! This new edition of the game comes integrated with Windows 10 features including Xbox account integration, Xbox One controller support and more. 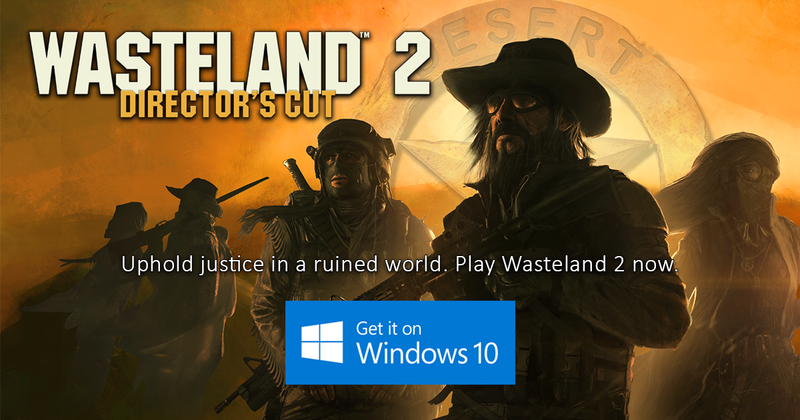 To purchase Wasteland 2: Director's Cut for Windows Store, you can check out the page here. Re: Wasteland 2: Director's Cut Now on Windows Store! i really hope it gets you money, however i can not say that i looked at the windows store even once. I wonder what its reach is. Solid suggestion, i like it! To Kickstarter backers will not be the key?